With its rather exceptional and extremely rich history which spans over six decades, conceptual art still stands strong and seems to be more lively and fresh than ever. From the pioneers of the movement that started experimenting with the art form in the 1960s, to the young followers that proudly carry the tradition of art based on idea to the next level. 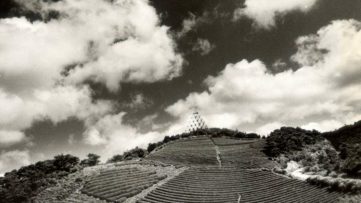 All ten conceptual artists we selected for our list firmly stand as great names of the movement, widely recognized for their unique and groundbreaking artworks. As you will see, conceptual art can take many forms, including, most frequently used word based artworks, performance art, video art, installation art, painting and sculpture. These ten conceptual artists successfully use various aspects of semiotics, feminism, and popular culture to create cutting-edge artworks that continue to inspire huge audiences around the globe. Damien Hirst (1965) is an English visual artist of international renown and reportedly one of the Great Britain’s richest living artist, with an estimated wealth exceeding mind-boggling £200 million. Born in Leeds, living and working in London, Hirst is the most prominent representative of Britart group of emerging artists that shook the art world during the late 1980s and early 1990s. 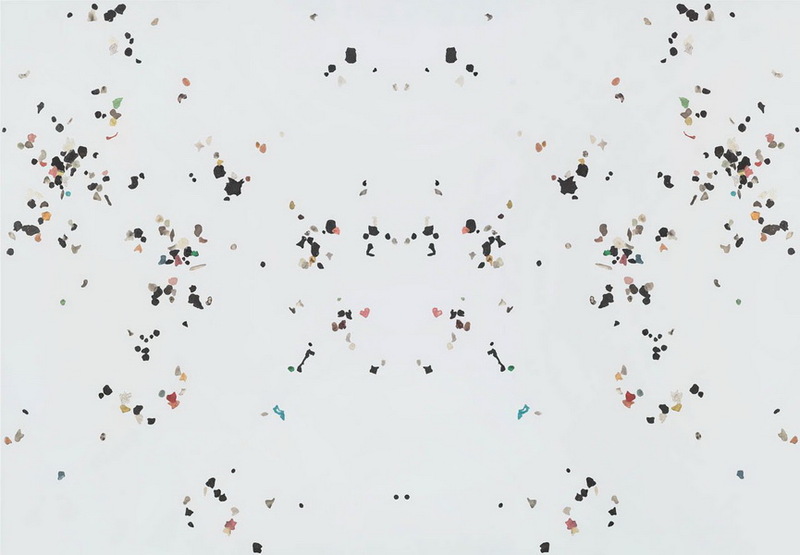 View and explore more works by Damien Hirst! 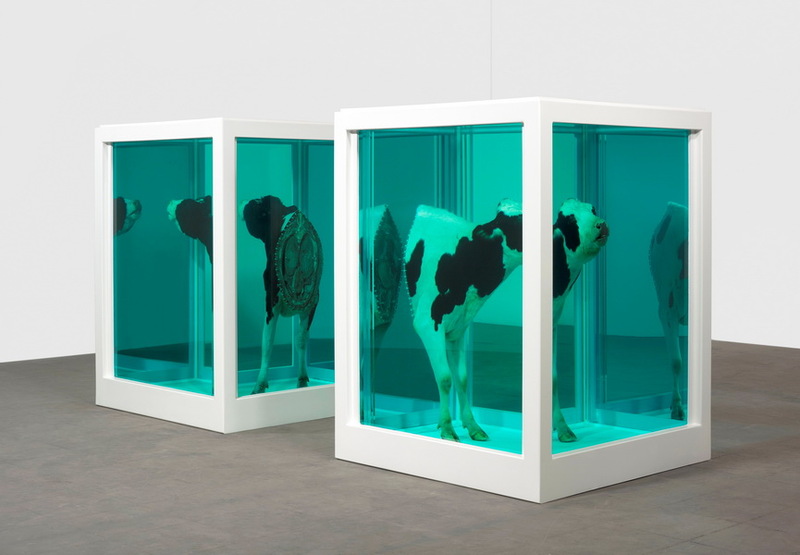 Hirst’s career exploded after his major international exhibition during the 1993 Venice Biennale which showcased Hirst’s famous work titled Mother and Child Divided, showing cow and calf cut in sections and exhibited in clear display cases filled with formaldehyde, which was followed by a series of dissected and preserved animals, including a shark and a sheep. 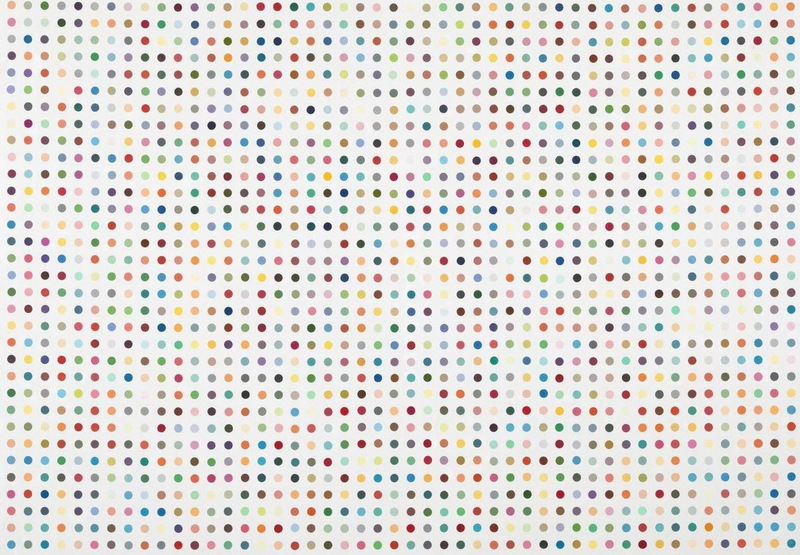 Hirst is probably most widely recognized for his so called spot paintings which feature rows of randomly colored circles painted by his assistants. 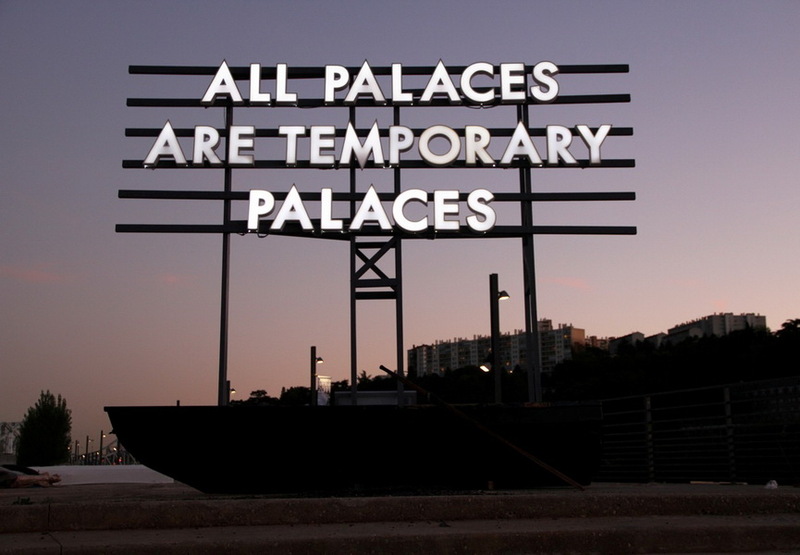 Another internationally renowned conceptual artist from the United Kingdom on our list is Robert Montgomery (1972), London based Scottish artists, widely known for his standout public intervention pieces that introduce poetry into urban and industrial landscapes through forms of captivating light installations, recycled sunlight pieces, fire poems and billboards. Educated in the Situationism and Marxism, Montgomery took these texts at their word, and brought his art based on text to the public sphere, occupying an extraordinary space situated on border lines where academia crosses to the realm of street art. Since 2005 he has been working on an acclaimed Words in the City at Night series of unique artistic interventions that examine ideas of public space and our collective (un)consciousness. From elaborate constructions to illegal pieces plastered over existing billboards and advertisements, these seemingly simple yet rather graphic poems of extraordinary beauty and mesmerizing effect can be enjoyed during sunsets all across the world. 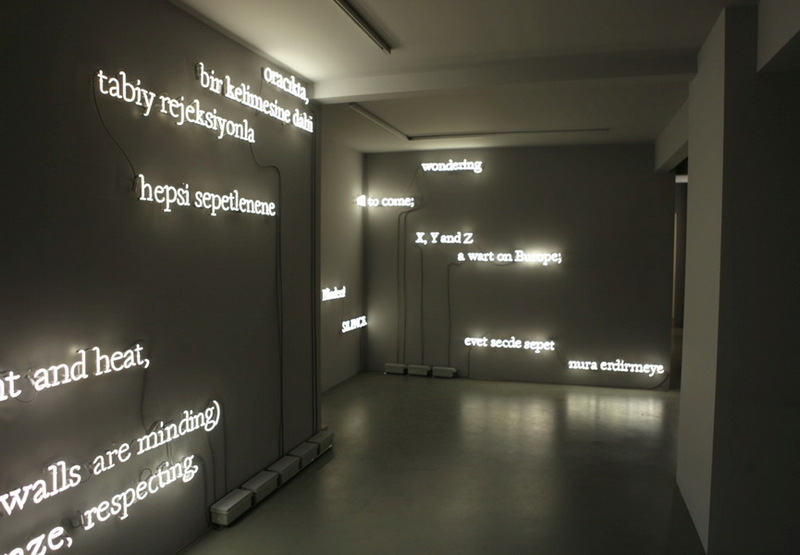 Joseph Kosuth (1945) is one of the leading American conceptual artists and a pioneer of conceptual art and installation art. In his largely self-referential artworks that strive to explore the essence of art, Kosuth gives special prominence to language, and frequently references Wittgenstein’s philosophy of language and Freud’s psycho-analysis, like in his acclaimed series of paintings from the 1980s that feature Freud’s theories and inverted photographs of Old Masters. In 1968, only one week before his death, the great Marcel Duchamp personally chose Joseph Kosuth as the winner of Cassandra Foundation Grant. Today, Kosuth’s artworks can be found in numerous renowned museums and galleries around the world, including MoMa, London’s Freud Museum, Chicago Art Institute, Hirshhorn Museum and Sculpture Garden in Washington, D.C. Kosuth lives and works between New York and Rome, where he teaches at the Instituto Universitario di Architettura di Venezia. 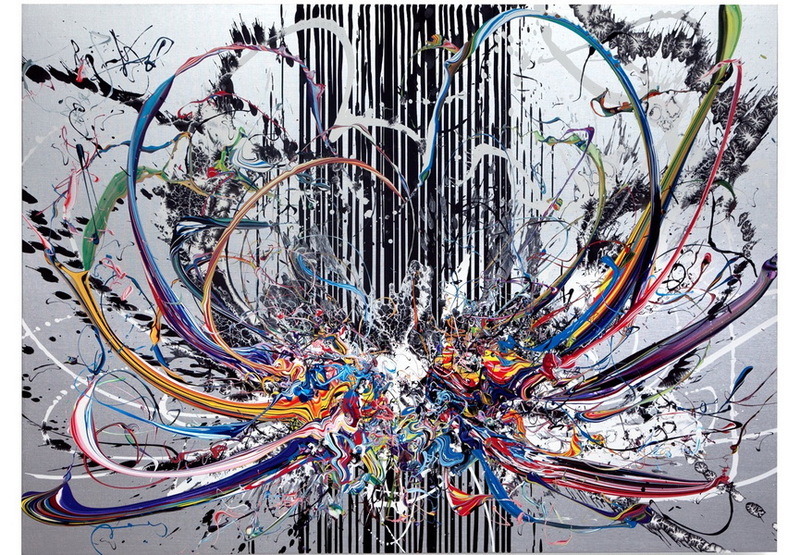 Katrin Fridriks (1974) is a renowned Icelandic conceptual painter and installation artist from Reykjavik, and one of the leading artists of a new abstract expressionism movement. She is widely recognized for her extraordinary paintings which fuse together natural energies of her homeland with an explosive expressionism and calligraphy filtered through conceptual installations. Strongly influenced by pop art, graffiti, and the calligraphic art, Fridriks’ hyperkinetic abstract paintings are filled with swirls of vibrant color, address serious and rather worrying environmental and political issues such as genetic research, cloning, overconsumption and exhaustion of natural resources. She is often compared to Jackson Pollock. Several of Fridriks’ series of paintings are constantly reworked through elaborate perspective studies, while their epic proportions show her exceptional skills in playing with the size, thickness and format of the canvases. Claude Rutault (1941) is one of the most significant French conceptual artists, best known for his extraordinary artworks that merge together different mediums like painting, sculpture and architecture. Since his early ‘70s art, Rutault has been creating his artworks that employ his so-called de-finition method, a step-by-step procedure which allows anyone to re-create his paintings. For example, the de-finition method 1 of 1973 reads: a canvas braced on a stretcher, painted the same color as the wall on which it is hung. can be used standard formats be they rectangular, square, round or oval. hanging arrangement is traditional. Self-taught French conceptual artist and graphic designer Sébastien Preschoux uses hundreds of meters of strings in different colors to create captivating and highly intricate installations, most usually placed in natural environments. These time consuming and labor demanding installations represent artist’s visual commentary of consumerist culture and mass production, and show his careful artistic observation of the sunlight in nature. Be sure to check out more interesting pieces by Sebastien Preschoux on Widewalls Marketplace! 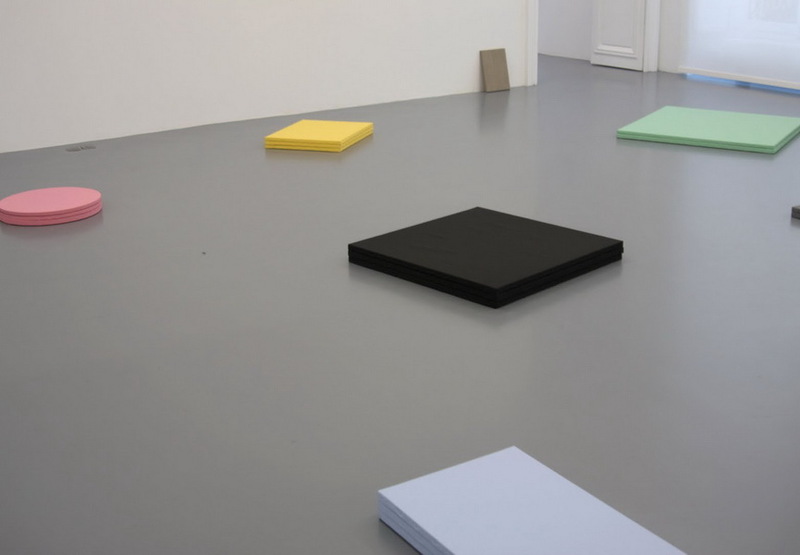 Preschoux creates them spontaneously, with no previous graphic guides or drawings, starting with nothing more than single center point from which he disperses strings to various different endpoints. 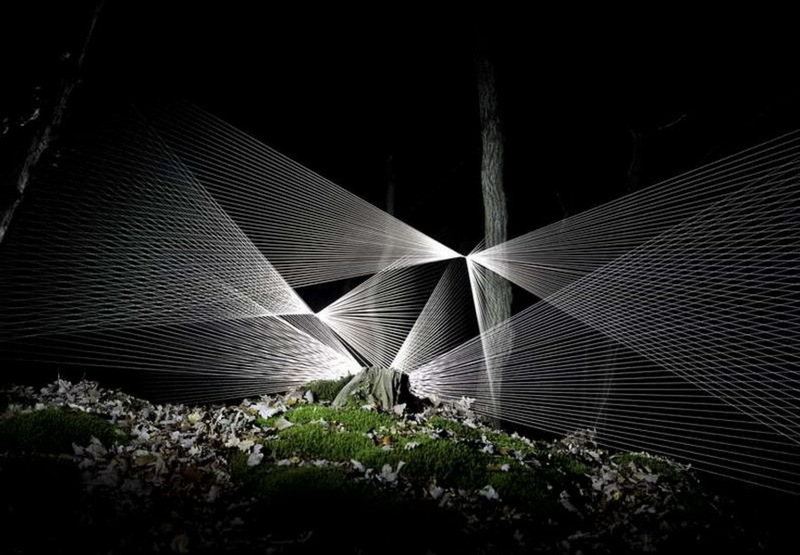 Preschoux’s string installations are made permanent by photographer Ludovic Le Couster, who captures their photographs with strategic lighting carefully placed in such a way that the stretched pieces of thread turn to mesmerizing vibrant stills. 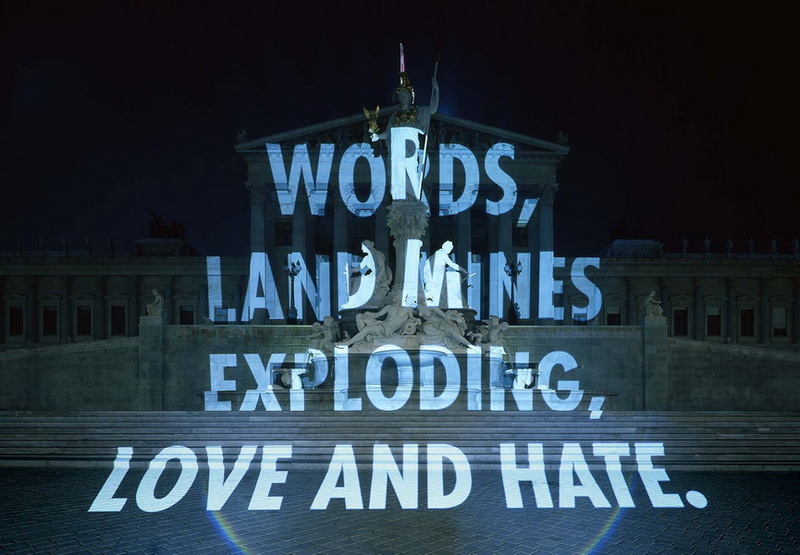 Jenny Holzer (1950) is one of the most famous and most awarded American conceptual artist from New York, widely praised for her provocative language based public works that deal with powerful subjects of consumerism, torture, disease and death. Holzer began her highly prolific career in 1970s and she quickly got noticed for her Truism series of confrontational one-line aphorisms she used to wheat-paste to buildings, walls and fences in and around Manhattan. 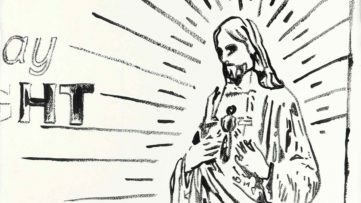 Holzer’s unsettling words of wisdom, often written by others, have since appeared everywhere, from posters, billboards, T-shirts and condoms to illuminated electronic displays and xenon light projections on buildings and other architectural structures. More recently Jenny Holzer created and acclaimed series of captivating screen printing paintings featuring declassified government documents pertaining to prisoner abuse. Zhang Huan (1965) is highly influential and internationally renowned among Chinese artists, widely praised for his extraordinary and highly provocative artworks in performance art, sculpture, painting and photography. 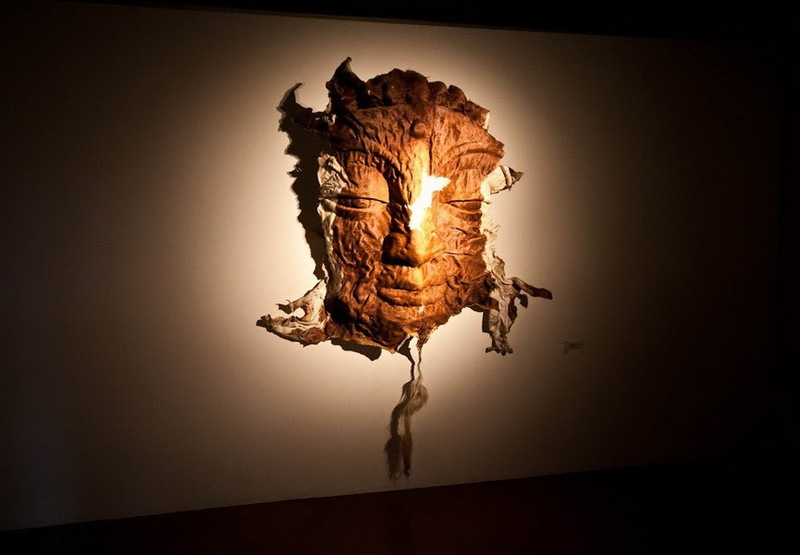 Huan began his career as a member of a small avant-garde artistic community, known as Beijing East Village, during the early 1990s. He started off as a painter and slowly turned his focus on socially engaged performance art, which gained him huge attention of an art audience but also of the police that closed down the community soon enough. In more recent years Zhang Huan returned to creating paintings, sculptures, and large scale installations, most famous being his astonishing series of ash paintings of endangered Chinese tigers, and extraordinary sculptures of Buddha faces made of cow skin. Adam McEwen (1965) is an English conceptual artist, living and working in New York City, best known for his artworks that appropriate vernacular forms of everyday consumer products and objects and repurpose them in new, unexpected contexts. After writing obituaries for the Daily Telegraph, McEwen went further and began producing his now famous obituaries of living people, such as Jeff Koons and Bill Clinton, cleverly crossing the line between fiction and history. 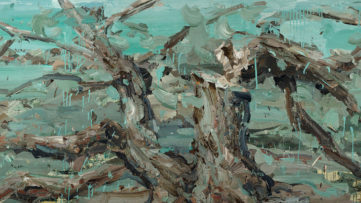 But what gained him international acclaim are McEwen’s paintings created using wads of chewing gum on canvas that reference the carpet bombing of German cities and towns in the WWII, as well as his graphite sculptures of banal, everyday objects such as ATM machines, water coolers and air conditioners which recall the funeral solemnity of memorials. Ai Weiwei (1957) is a multifaceted visual artist, political activist and curator and one of China’s most famous and highly influential artists, widely recognized for his brave conceptual artworks which are often openly critical of the Chinese government and the state of human rights in his homeland. Some of Weiwei’s daring works led to his arrests, most famous being the one in 2011 when he was detained for several months and then released on house arrest. Weiwei is best known for his conceptual installations that usually tend to spark dialogue between the contemporary world and traditional Chinese values. 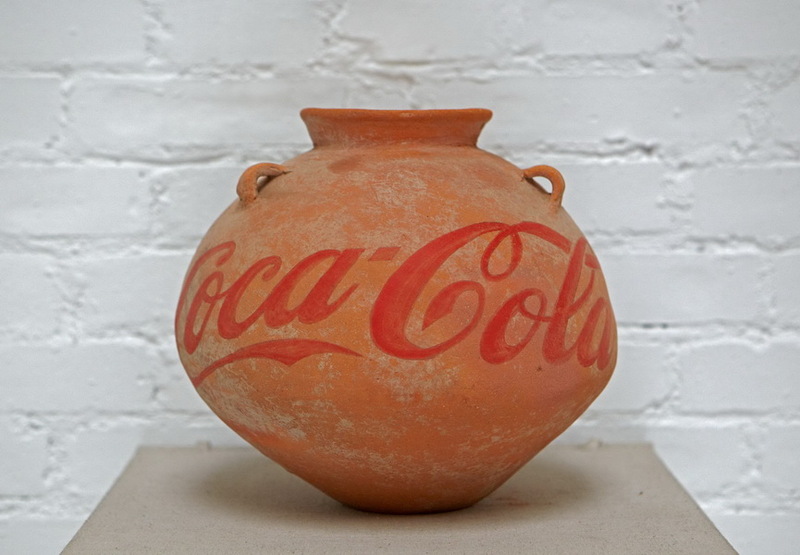 One of such artworks is Weiwei’s infamous Coca Cola Vase from 1994, featuring a classic Han Dynasty urn emblazoned with the ubiquitous soft-drink logo.